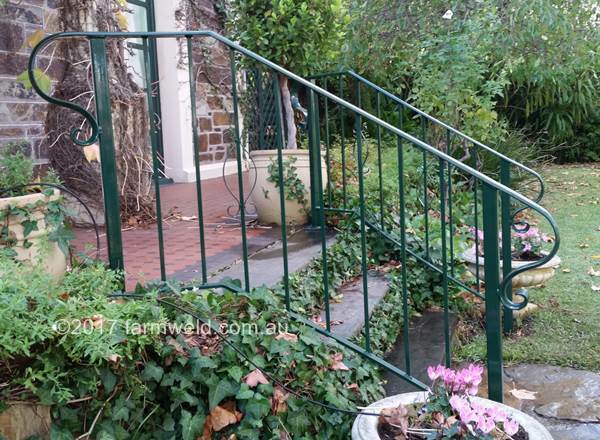 The range of wrought iron fence and balustrade designs are only limited by your imagination. 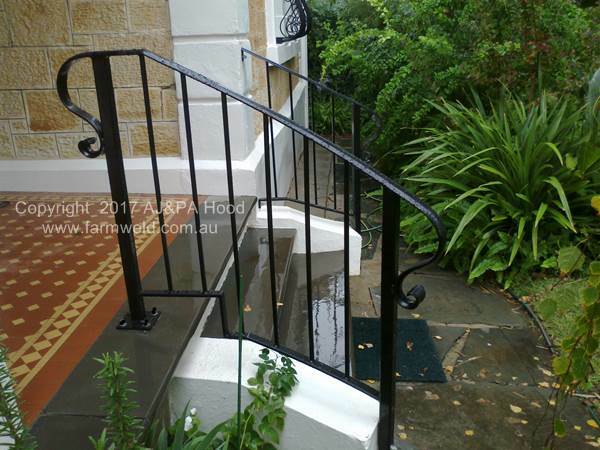 If you have a particular wrought iron style in mind we can make it for you. 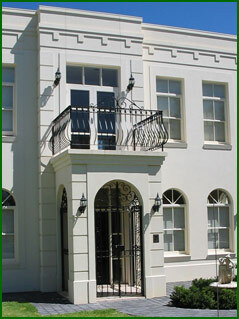 Talk to us about designing something unique to suit your heritage or contemporary style home. 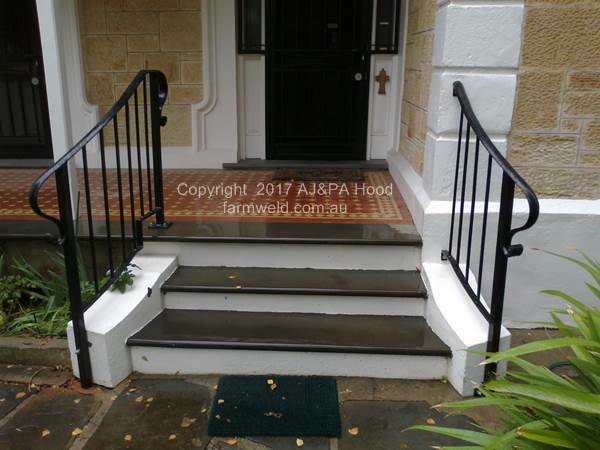 Make an appointment to meet with us. 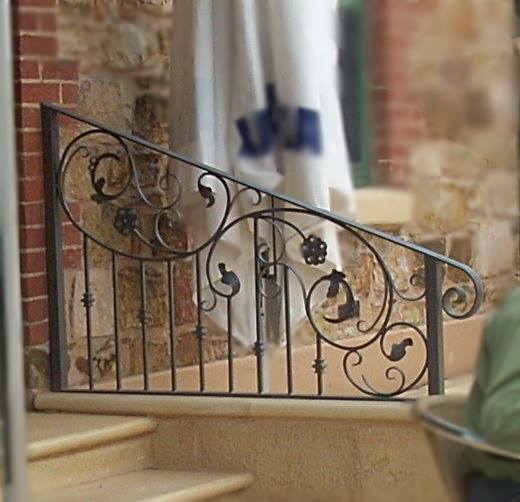 Bring along any designs or images of wrought iron that appeal to you as a starting point. 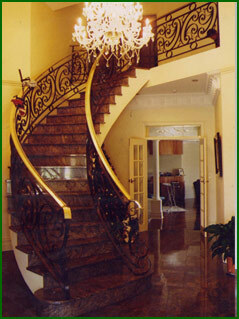 We can also show you a myriad of books and designs to get the design process started. 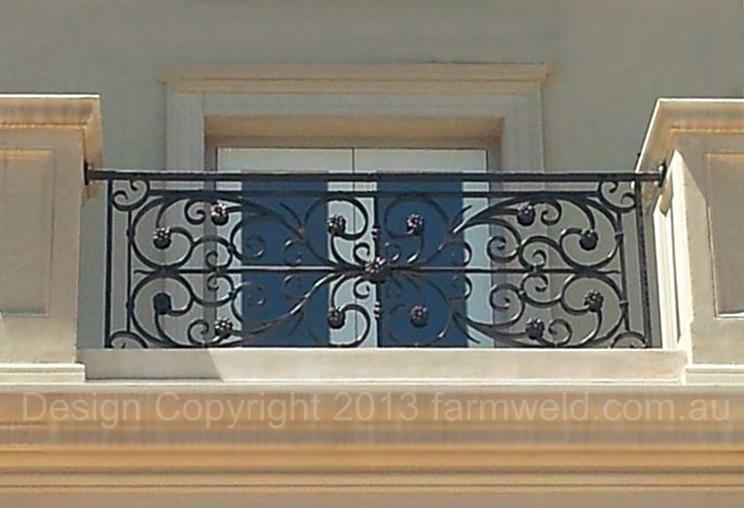 Do you have a preference for French Provincial or Tuscan wrought iron? 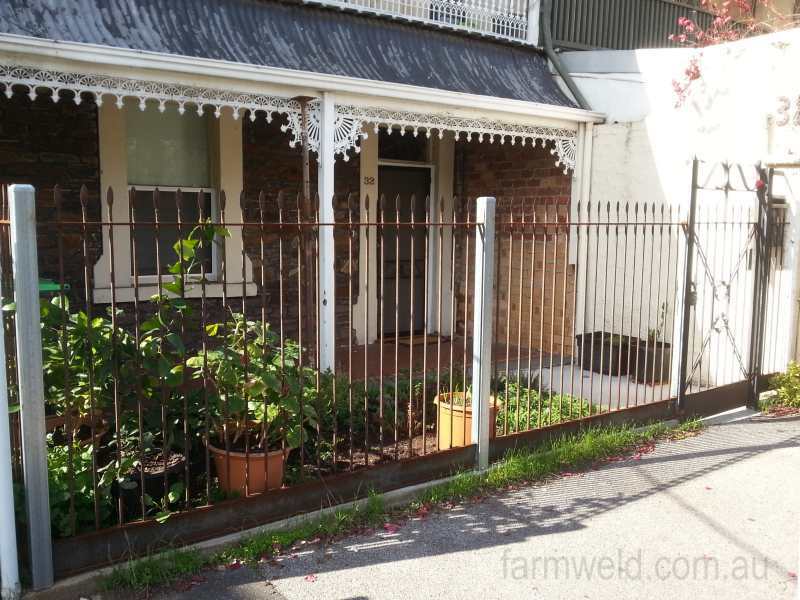 A Moroccan wrought iron panel? 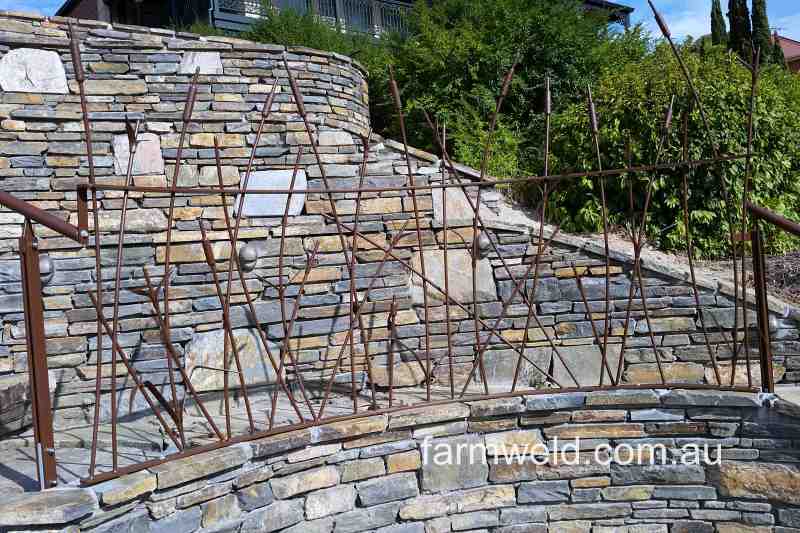 Or maybe something more modern or geometric like Art Deco ironwork? 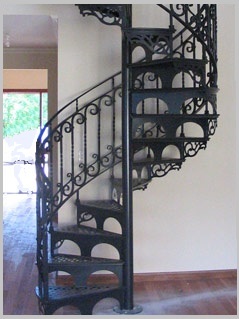 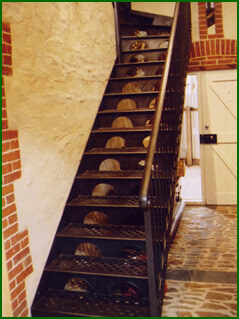 Why not delve into the areas of functional art using artistic wrought iron? 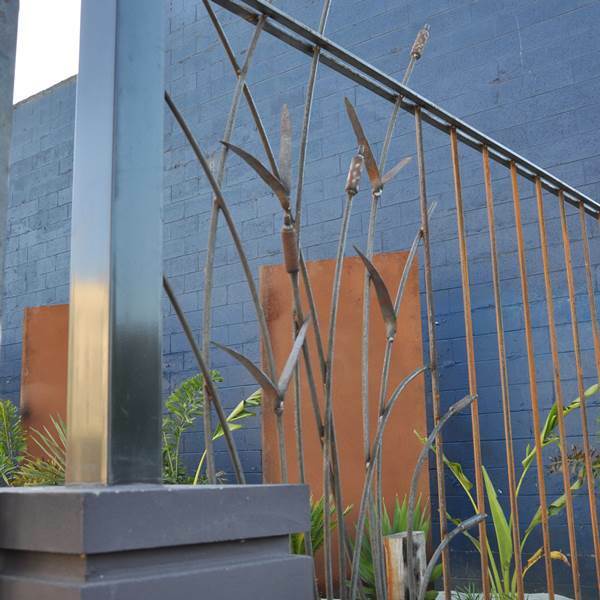 Organic designs incorporating leaves, flowers, bulrushes or wheat grasses add a sculptural element to everyday architectural structures. 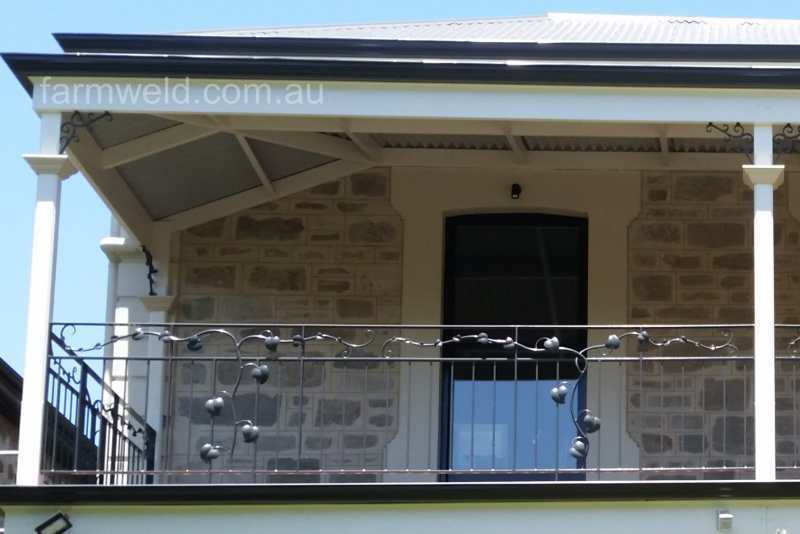 View some examples in the Gallery below. 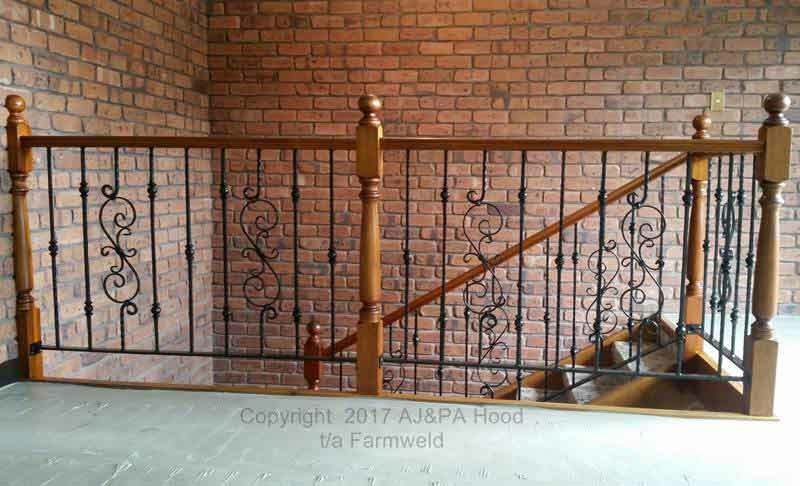 If you don’t have a style in mind and want a unique design for your home we can help by designing your wrought iron fence and balustrade to complement your home or any existing decor. 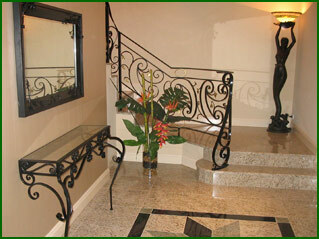 The design of your wrought iron should carry some consistency throughout your home. 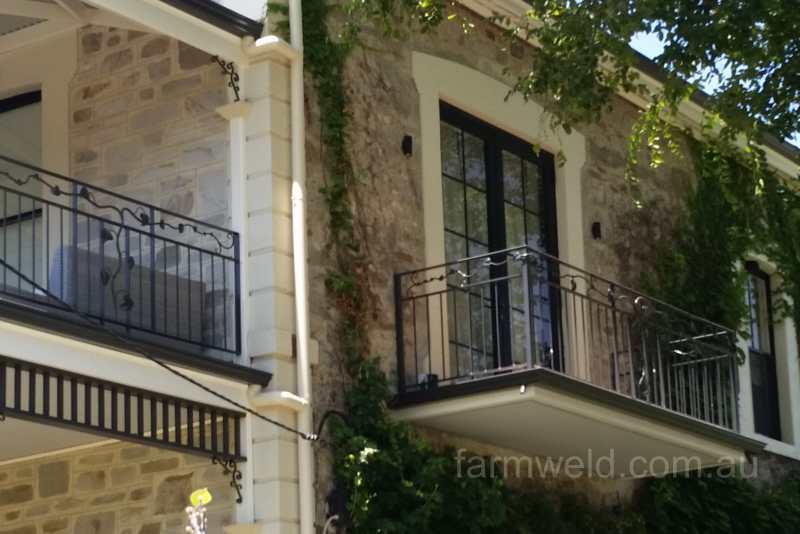 External balustrades can be made to complement or match wrought iron fencing and gates. 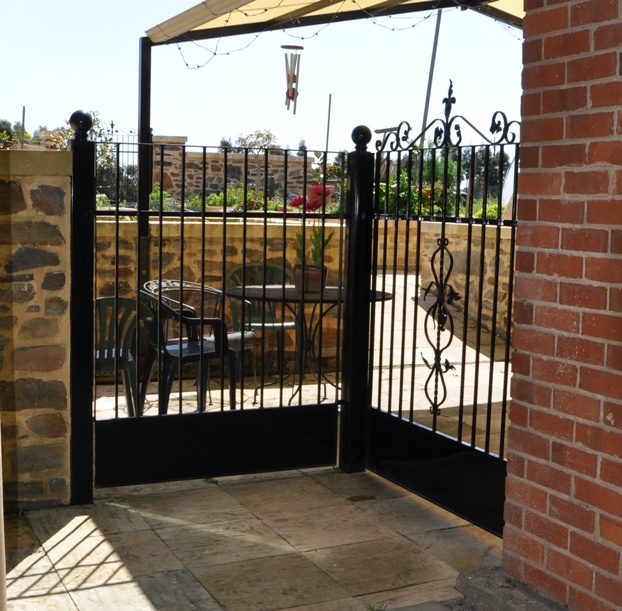 Made to your budget: We understand that everyone has a budget to work to. 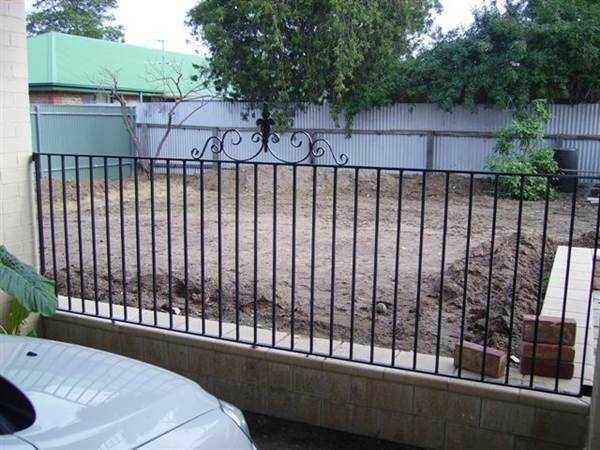 So long as you let us know what it is, we’ll work towards giving you a style that you’re happy with. 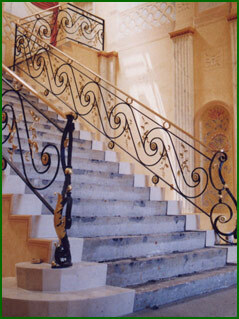 French-style ornamental wrought iron balustrade as designed above. 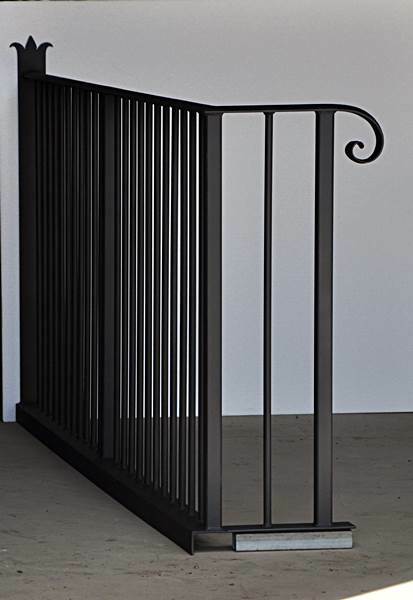 The options are endless: Dress up your wrought iron fence panels with beautiful flowing wrought iron, or for a more subtle look, textured and twisted bars, or small decorative steel bushes can be added. 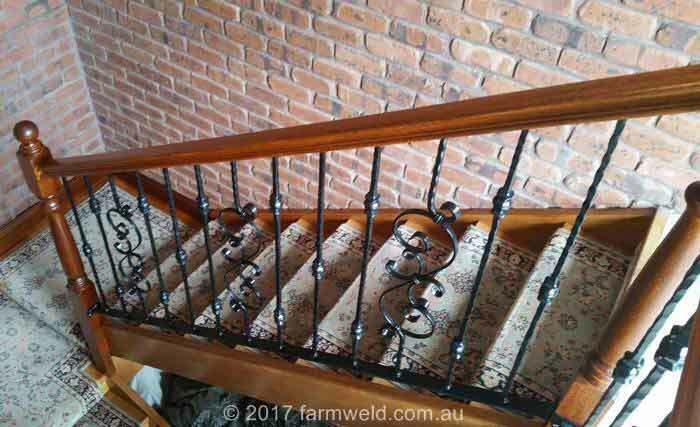 Match your balustrade to other wrought iron products: wrought iron details and patterns can be tied into the design of your fencing, an ornate gate, garden gazebos, verandah brackets and furniture if required. 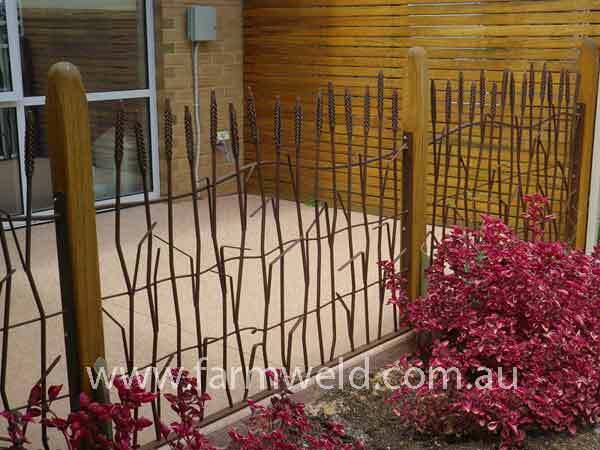 The bars of your wrought iron fence can be finished with cast iron or hand forged spears in styles to suit heritage or contemporary homes. 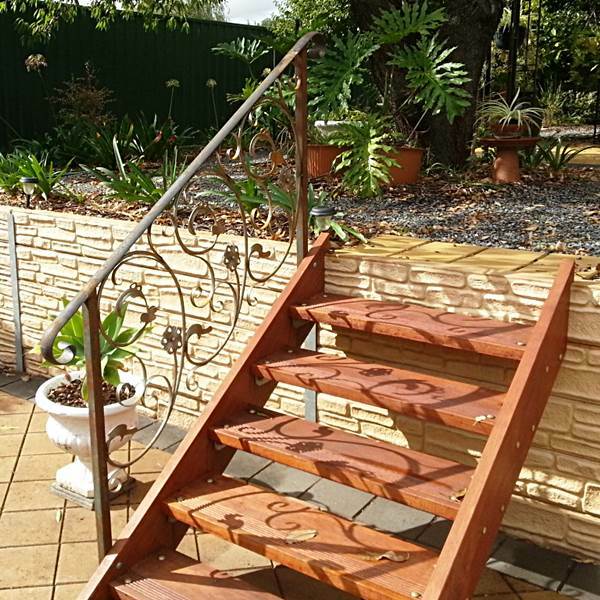 If you’re looking for inspiration have a look through our Pinterest and Facebook pages, or give us a call and visit us to discuss the options. 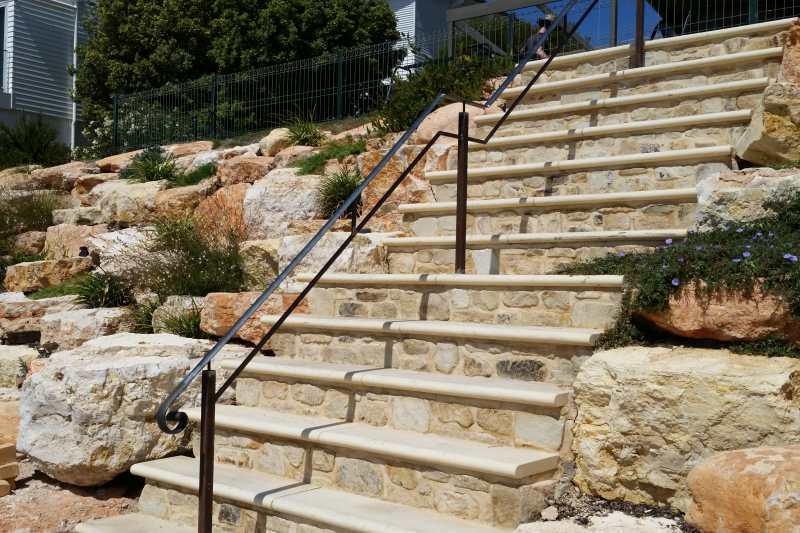 If you’re looking for honest, quality workmanship and value longevity over cheaply made products then contact us. 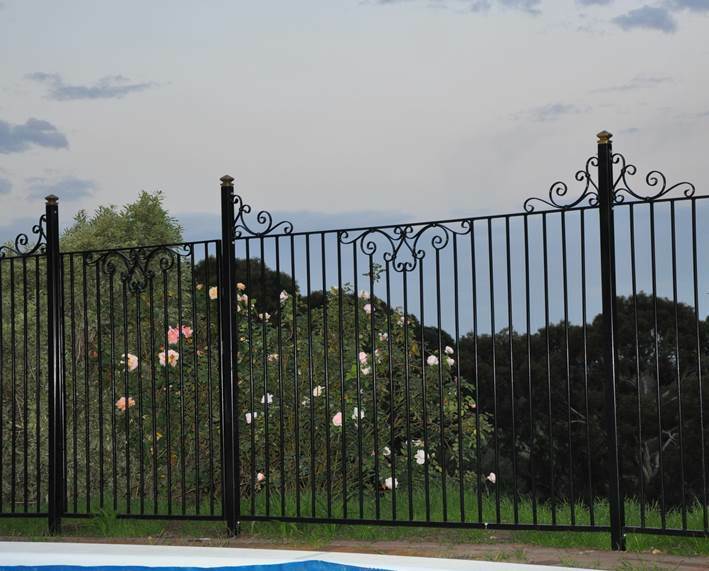 There are specific standards that apply to balustrades and pool fencing. 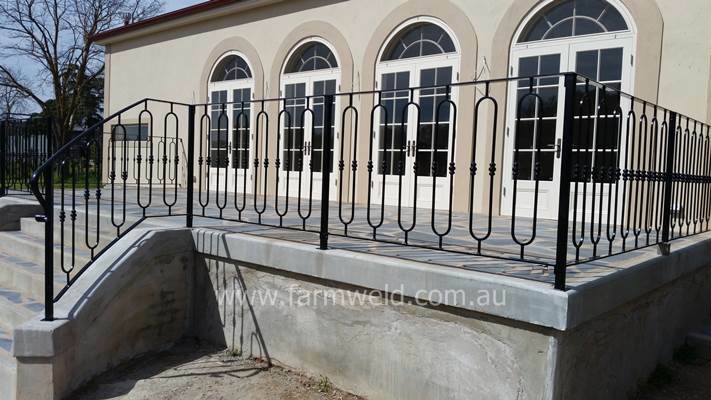 It’s important for your safety and that of your family, that wrought iron balustrades and pool fences comply to these standards. 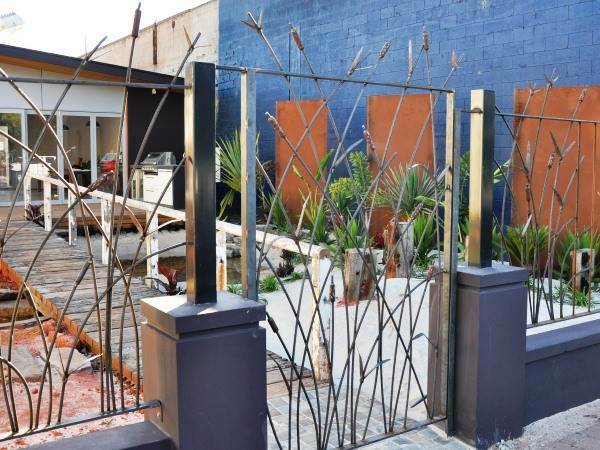 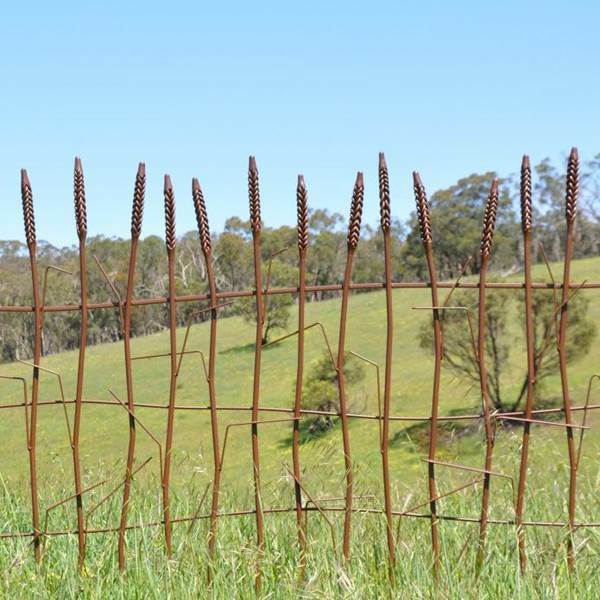 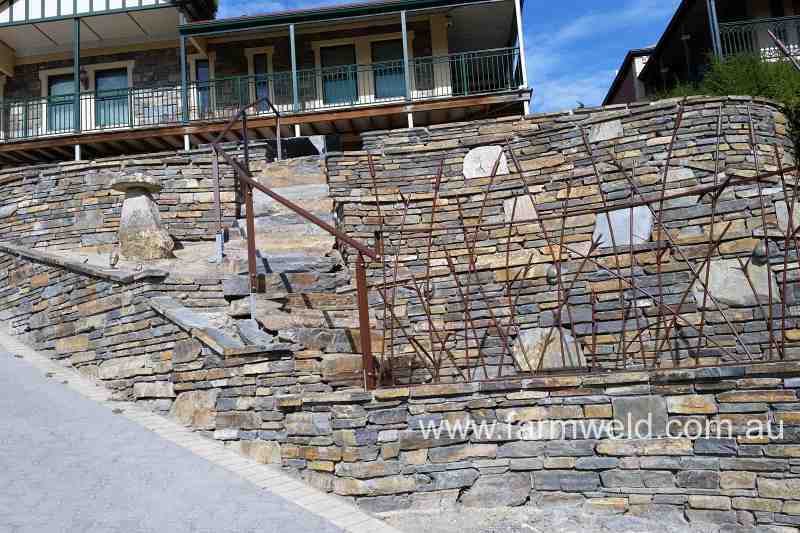 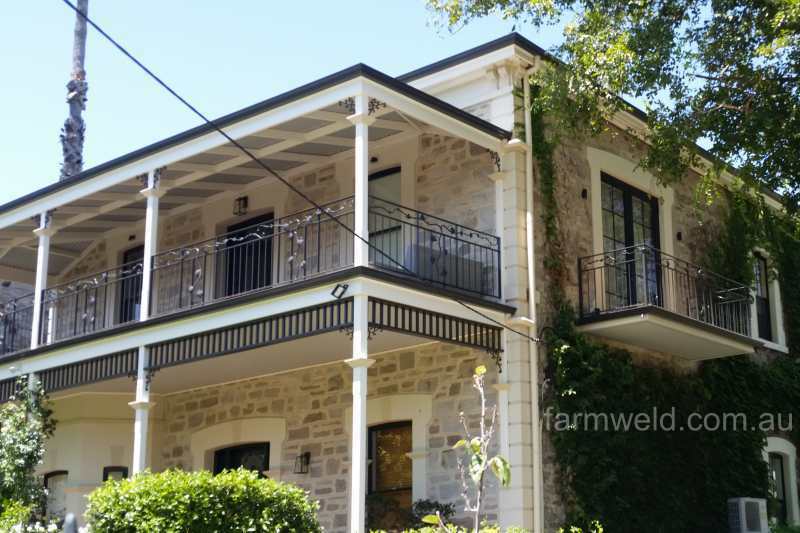 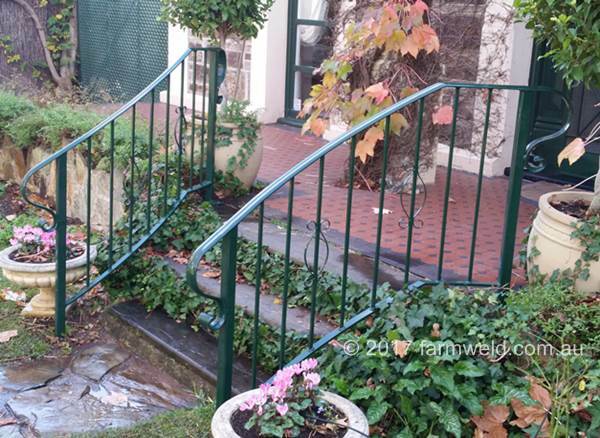 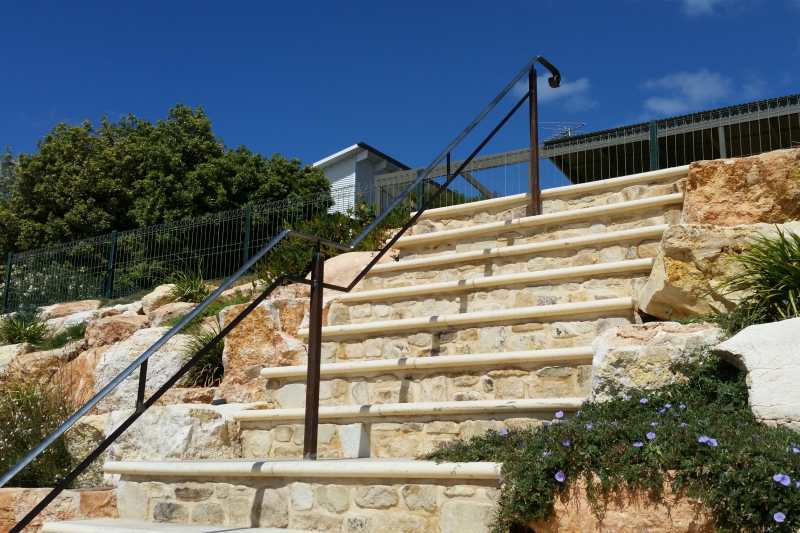 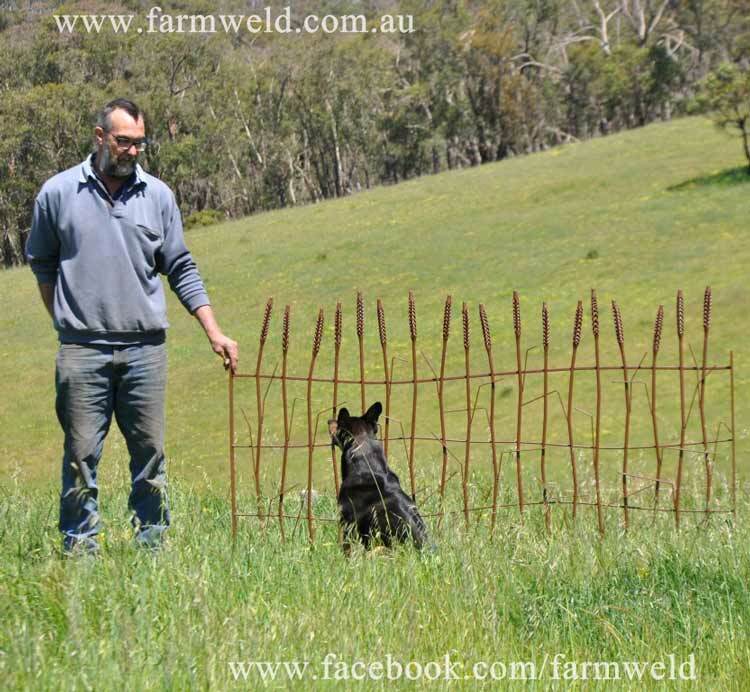 We can assure you that so long as we are aware of the purpose of the item, your wrought iron balustrade and fence will be made in keeping with the relevant Australian standards.